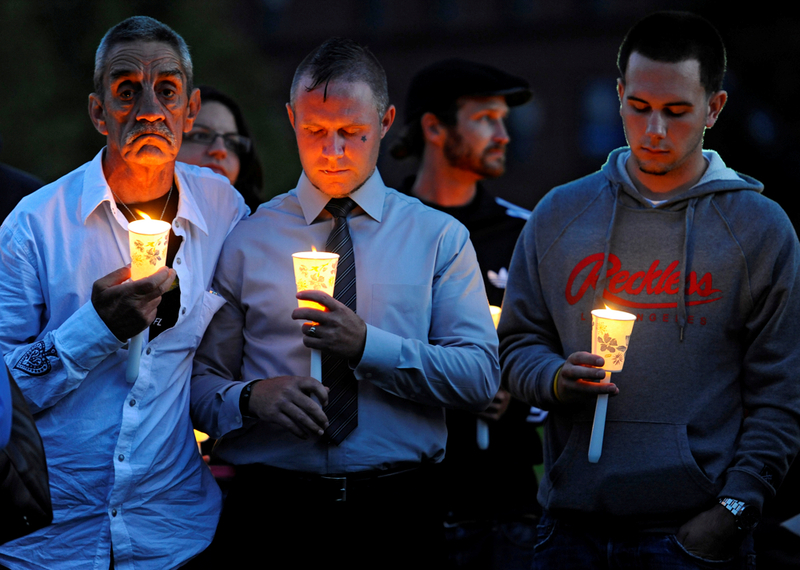 From left, Raymond Bastille of Falmouth, Kristoph Pydynkowski of Buzzards Bay and Mike Tallia of Falmouth, who are all in recovery, hold candles during the third annual overdose vigil on the Hyannis Village Green on Sunday, September 22, 2014. Pydynkowski was the keynote speaker at the vigil. He shared his story of battling heroin addition. He is now an intervention and recovery specialist at Gosnold where he was treated.